A new 30-minute documentary film on the life of St. Katharine Drexel will air on 6abc’s FYI Philly program at 7 p.m. Saturday, March 30, and again at midnight and 1 p.m. Sunday, March 31. “Saint Katharine Drexel: The Holy Heiress,” focuses on the life of the Philadelphia socialite from her early years to her founding of the Sisters of the Blessed Sacrament to serve African Americans and Native Americans, to her canonization as a saint in the church and the arrival of her remains in a new tomb and shrine at the Cathedral Basilica of SS. Peter and Paul. Several people join in the telling of the story of St. Katharine’s life including Blessed Sacrament sisters and a member of the Sisters of Mercy, the congregation where Katharine entered religious life; biographers Lou Baldwin and Cordelia Frances Biddle; Dr. Trudy Brown, who as a young girl met St. Katharine; Robert Gutherman, whose hearing was restored through the miraculous intercession of St. Katharine; and Father G. Dennis Gill, rector of the cathedral basilica and director of the archdiocesan Office for Divine Worship. The program as produced by 6abc was underwritten by the Connelly Foundation with support from the Knights of Columbus, to increase awareness of Philadelphia’s second saint, after St. John Neumann. 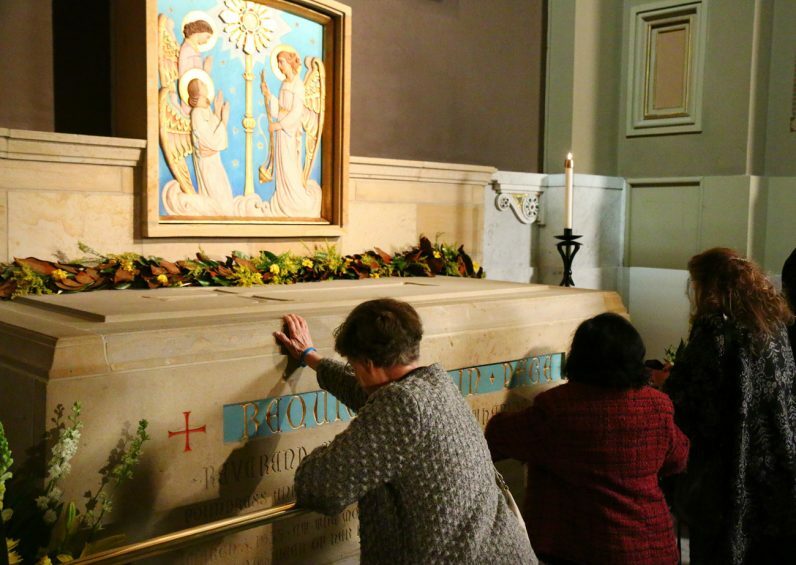 The Connelly Foundation also funded the new tomb and archdiocesan shrine at the cathedral, located near the Drexel family altar inside the cathedral’s main entrance. Since its dedication in November 2018, the shrine has become a popular place for visitation and prayer.